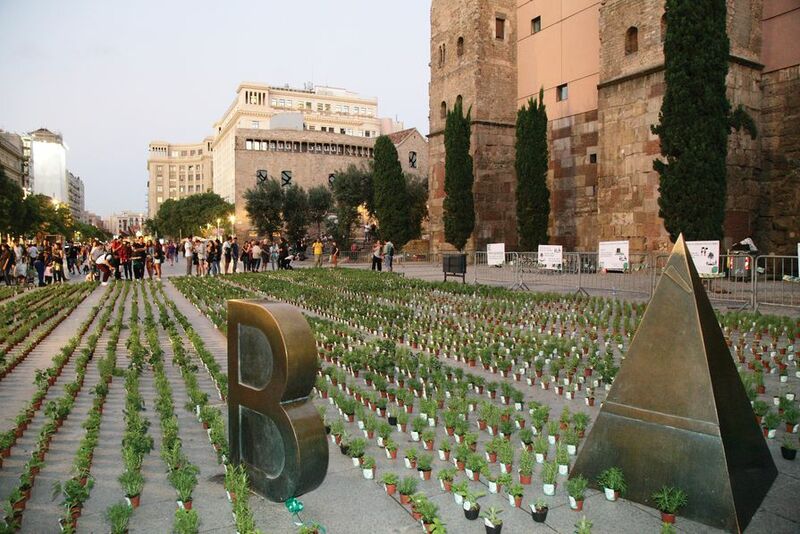 A “pop up green” by Marina Cervera and students from the Polytechnic University of Catalonia was installed in public space close to the Palau de la Música Catalana, the venue for the Barcelona International Biennial of Landscape Architecture. The year 2016 marked the ninth edition of the Barcelona International Biennial of Landscape Architecture and the second since it moved away from being solely European to become inclusively international. Over its eighteen-year history, the Barcelona Biennial has developed to become not only a celebration of global excellence in landscape architecture, but, as many have commented, perhaps the premier event on the landscape architecture calendar, with its focus on design and design-led innovation, experimentation, research and teaching eclipsing the IFLA conference in intensity and lively debate. The 2016 biennial focused on two connected themes, entitled Tomorrow Landscapes and Today in Action. Under this banner, a stellar cast of landscape architects, academics and industry leaders from around the world presented a range of projects, all demonstrating strategies for engaging with crisis and emergency, and for building social and territorial resilience. Highlights included Alexandre Chemetoff’s rigorous and passionate exposition of his five points for radical simplicity and an aesthetic of transformation; Anuradha Mathur’s argument for proactive resilience or what she calls “pre-storation,” using recent projects to demonstrate their methodology of screen-printed drawing/diagramming/mappings and the agency these have in reconceiving ground and territorial conditions; Kate Orff’s presentation of her Living Breakwaters project, showing how, through an understanding of climate dynamics and the integration of human and marine ecologies, it is possible to promote successful cohabitation (of the human and non-human) or a more expansive notion of community; Maria Gabriella Trovato from the American University of Beirut discussing her work on emergency landscapes, self-organized territories and transitional urban/rural landscapes, and her development of more nuanced and effective methods of engaging with refugee settlements; and Henri Bava of Agence Ter discussing projects such as Parc de Billancourt, Saint-Ouen/Parc De La Zac Des Docks and the amazing Plaça de les Glories “Canopia Urbana” in Barcelona, and demonstrating how, through a focus on le terre – the soil, ground, earth and underground – the landscape project is an integrative operation, one that curates territorial coherence and literally provides the initial conditions of a city. A particularly powerful moment in the biennial was provided by Karin Helms and Bernadette Blanchon’s presentation of their video tribute to Michel Corajoud and Jacques Simon. This was a timely reminder of the value of a free spirit and poetic imagination: the power of passion combined with keen intelligence, iconoclasm combined with intellectual curiosity. Of course the centrepiece of the biennial is the Rosa Barba International Landscape Prize. Over one day, the shortlisted projects are presented by the respective landscape architects to the entire biennial audience and judging panel. In 2014, amid a certain degree of controversy, TCL and Wraight and Associates bested James Corner’s High Line to be awarded the prize for Auckland Waterfront – North Wharf Promenade and Silo Park. 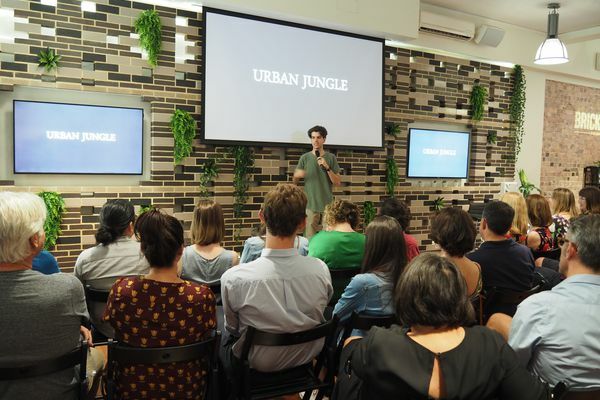 In 2016 Australia was shortlisted again with Aspect Studios and CHROFI’s The Goods Line. 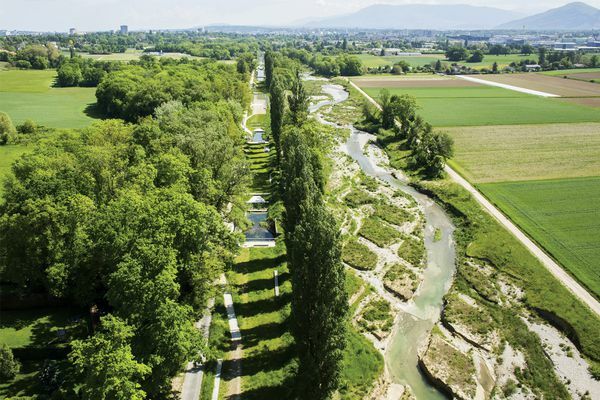 In addition to The Goods Line, there were nine other shortlisted projects: A Flood Adaptive Landscape: Yanweizhou Park by Turenscape, China; Renaturation de l’Aire by Atelier Descombes Rampini, Switzerland; Land Art Park Buitenschot by H+N+S Landscape Architects, The Netherlands; Superkilen by Topotek 1: Bjarke Ingels Group and Superflex, Denmark; Barangaroo Reserve by Peter Walker and Partners Landscape Architecture, USA, in association with Johnson Pilton Walker, Australia; River Forest Island by SWA Group, China; The Metro-Forest Project: Bangkok Urban Reforestation by Landscape Architects of Bangkok; Queen Elizabeth Olympic Park, London, by Hargreaves Associates, USA; and Musée parc Louvre Lens by Mosbach Paysagistes, France. Queen Elizabeth Olympic Park by Hargreaves Associates in London won the 2016 Rosa Barba International Landscape Prize. 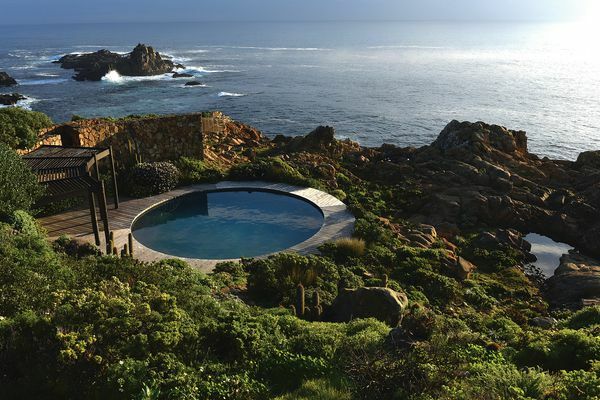 The prize was presented at the Barcelona International Biennial of Landscape Architecture. To a somewhat lukewarm reception, Hargreaves Associates was awarded the jury prize. Jury president James Corner praised the project for its complexity; its consummate handling of scale, economics and engineering; its bravura terrain forming; its provision for a range of programming and diversity of spatial experience and its extraordinary planting design. Most striking, Corner argued, was its power or agency as a transformative project, its evolutionary design approach enabling it to deliver an “instant” robust and programmatically complex landscape for the purposes of the brief duration of the Olympic Games, one which could then be effectively transformed into a major public park post-Olympics – a benchmark project for what could be called a legacy design approach. If the audience was somewhat muted in its reception of the jury award, it was ecstatic in response to the announcement that Atelier Descombes Rampini had won the public opinion prize for its beautiful Renaturation de l’Aire, which, with Land Art Park Buitenschot by H+N+S Landscape Architects, was far and away the favourite and, dare I say it, most “loved” project in the competition. This was no doubt due in part to the evocative presentation by Georges Descombes, but perhaps more because of the strong “tradition” of the Rosa Barba prize being awarded to more subtle and nuanced projects, ones that work with processes of time and the entanglement of natural and social processes. If the audience was somewhat muted in its reception of the jury award, it was ecstatic in response to the announcement that Atelier Descombes Rampini had won the public opinion prize. Perhaps this is to observe that the Rosa Barba has moved, in its last two iterations, away from its championing of the poetics and process of intimate dialogue between “site” and interventionist strategies to a valuation of massively scaled urban projects. In many ways this seems to emphasize an apparent difference between current “Continental” and “Anglo-Saxon” landscape architectural practices. This was particularly evident in the ways that practices constructed the discourse around their projects and the explicit difference in these discourses – from a vocabulary that harnesses the power of poetics, richness of vocabulary and range of cultural references to a more stripped-back, utilitarian, perhaps even institutional and teleological vocabulary. 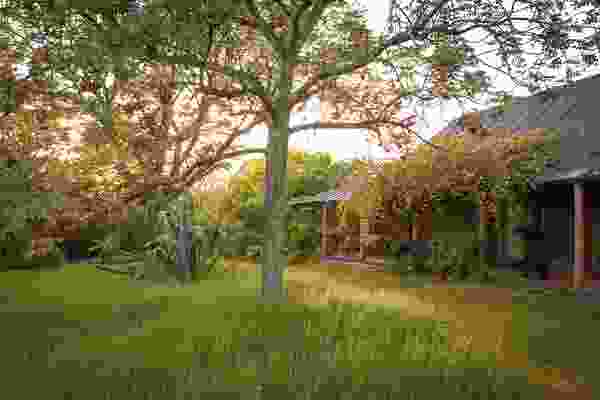 This divide generates differences in operational approaches, between an approach of working with the land and one of working the land. However, despite these divergences in discourse and operation, what seems to unite the landscape community is a shared agenda of transformation. What emerged powerfully from the various projects from across the globe was what could be identified as an aesthetics of transformation, and the articulation of landscape practice as an organization of transition, an art of survival and resilience building characterized by an intelligent generosity. Somewhere over the week it was stated that the world’s current fearful approach to the end of fossil fuels and the impact of climate change represented a crisis in imagination. However, on the basis of the proceedings in this biennial, this is not something that the landscape profession suffers. Rather, it seems to be an energizing force provoking the profession to recognize its role as a transformational practice and to lead the way in developing methods of creative thinking and meaningful action. 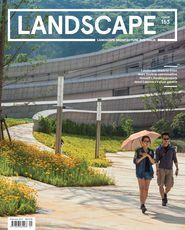 In its engagement with the crises and complexities of our era, landscape arch- itecture is called to exercise its particular skill in understanding necessities as pleasures and to strongly argue against a nature/culture divide. 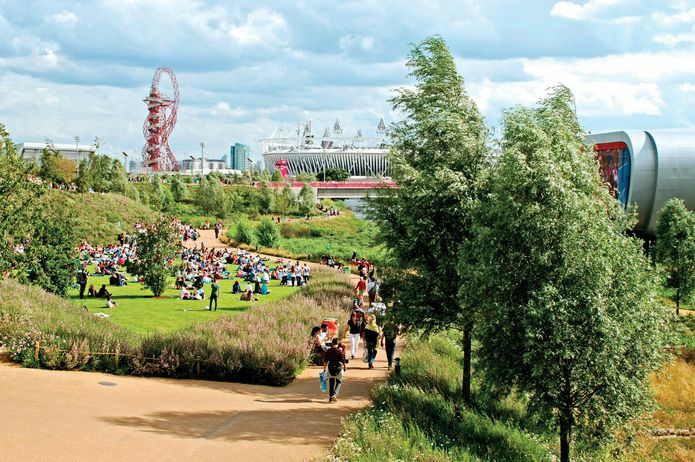 In championing such ecological thinking, landscape architecture can show itself well placed to respond to the challenges of our times and effectively work to make the world a better place for all to live in – humans and non-humans.